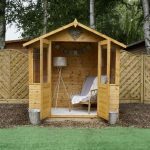 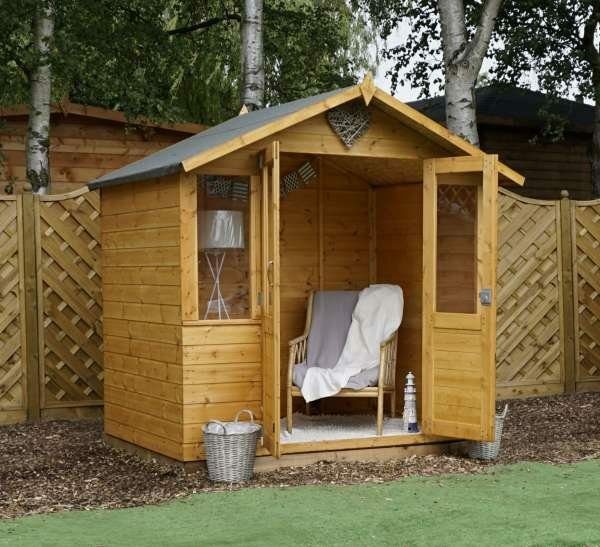 You won’t go far wrong with a traditionally designed wooden summerhouse. 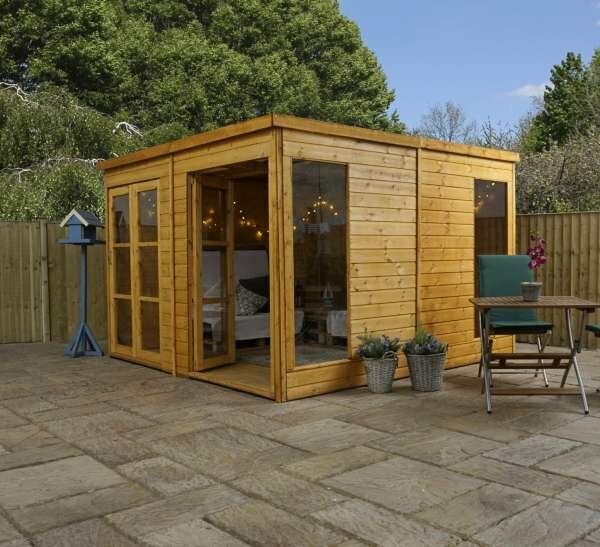 There’s a reason this type of summerhouse is so popular among buyers; it always looks great. 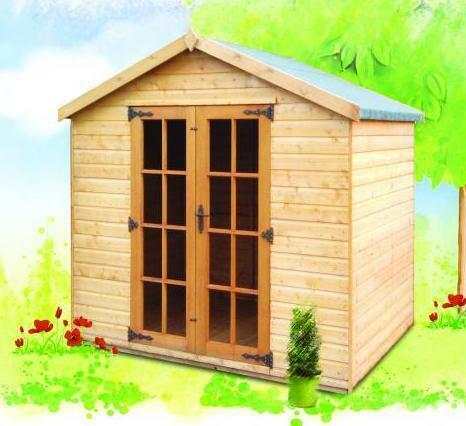 Even if you’re limited for space, this summerhouse will look perfect in your garden. 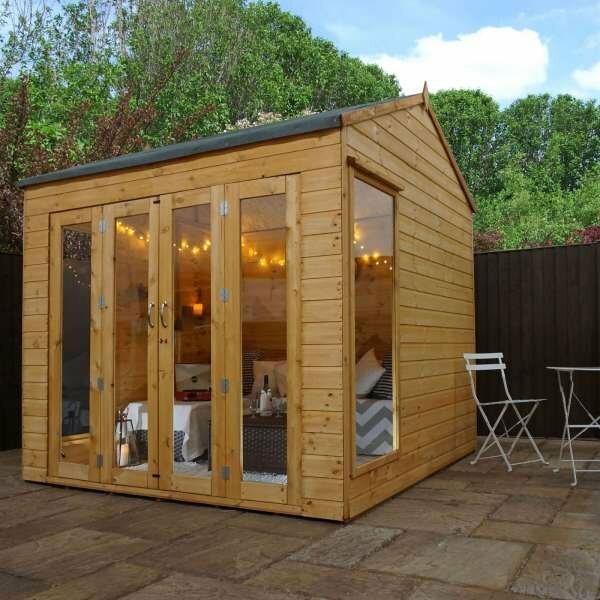 Constructed using 12mm shiplap cladding, you’ll feel completely safe and secure while taking a breather from the sun in this summerhouse. 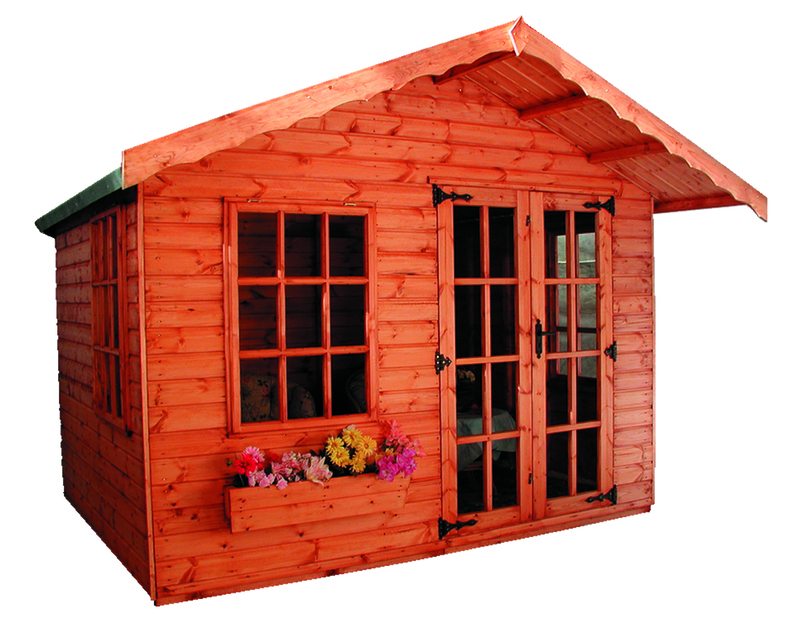 It also comes with 10mm solid sheet floor and 8mm solid sheet roof. 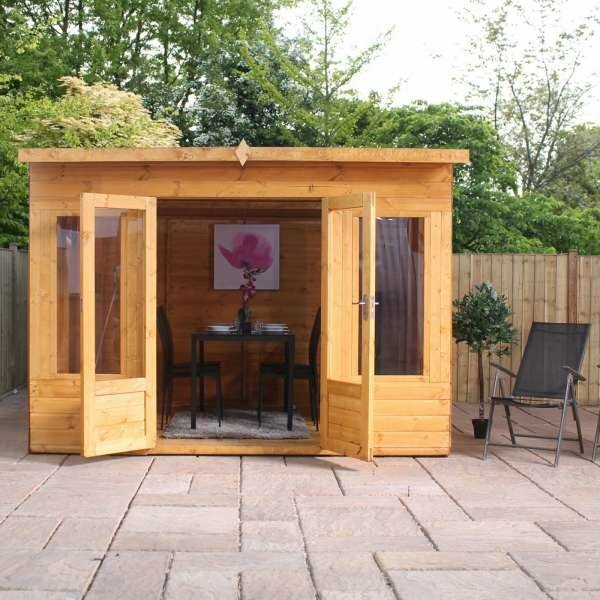 The double doors are half glazed and come with lock and key for when the summerhouse isn’t in use. 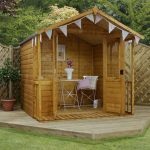 Affordable and beautiful, it’s hard not to love this one! 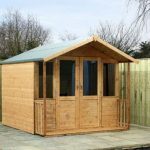 Your options: Traditional Summerhouse Veranda 8 x 7, Traditional Summerhouse Veranda 8 x 7 With Installation, Traditional Summerhouse Veranda 7 x 7, Traditional Summerhouse Veranda 7 x 7 With Installation, Traditional Summerhouse 7 x 5, Traditional Summerhouse 7 x 5 With Installation. 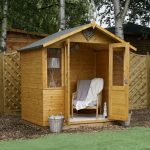 The Traditional Summerhouse range is ideal for smaller gardens. 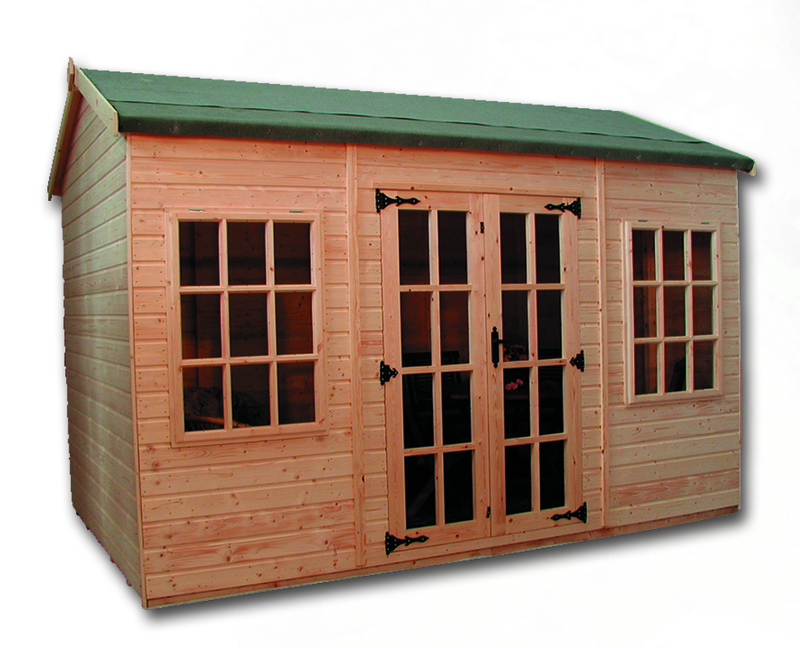 Itfts quaint beach-style facade provides a light and airy feel to the building. 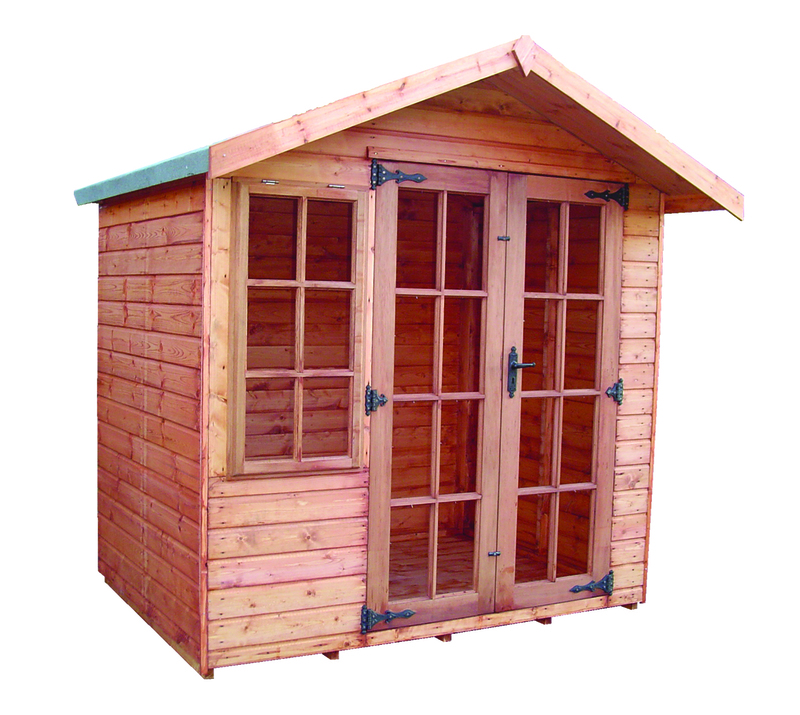 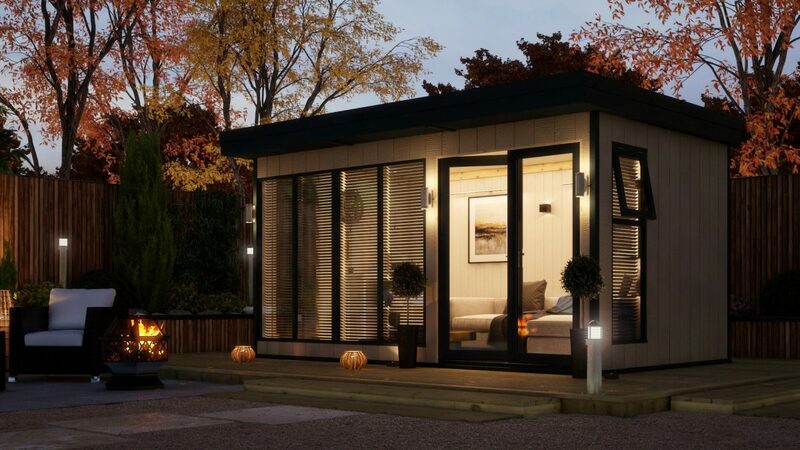 All products in this range are constructed using 12mm shiplap cladding, 8mm solid sheet roof, 10mm solid sheet floor and half glazed double doors with lock and key.